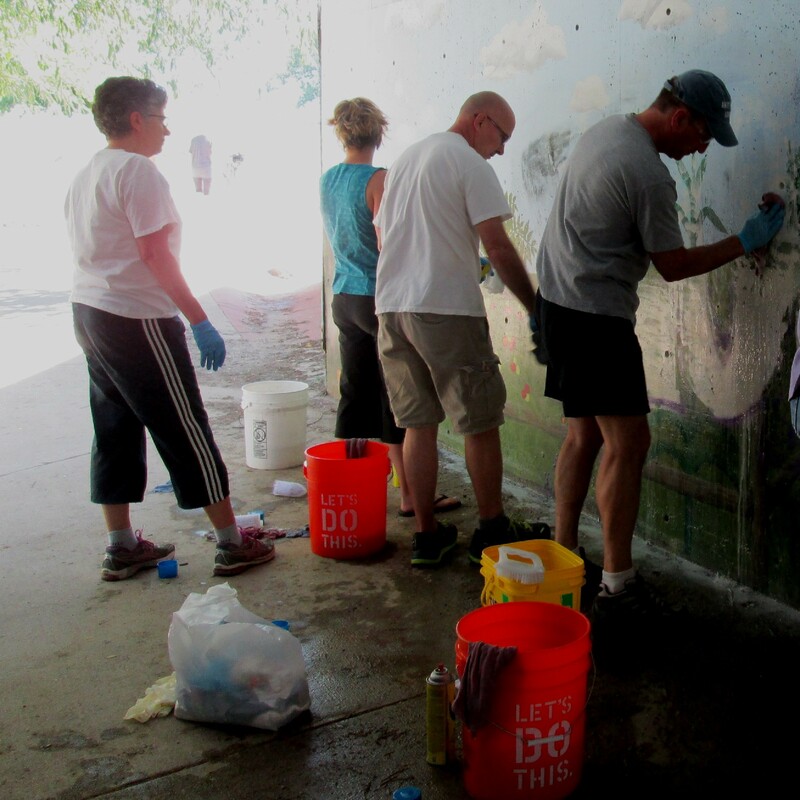 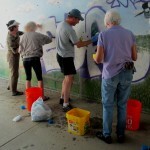 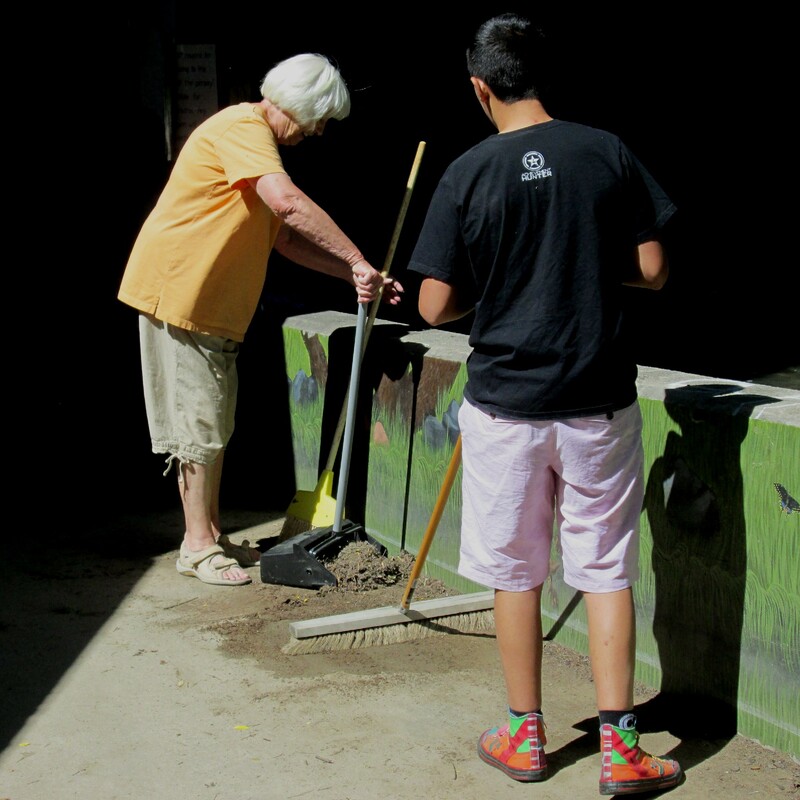 This past Saturday a group of volunteers stripped the spray paint off of the Niwot road underpass mural. 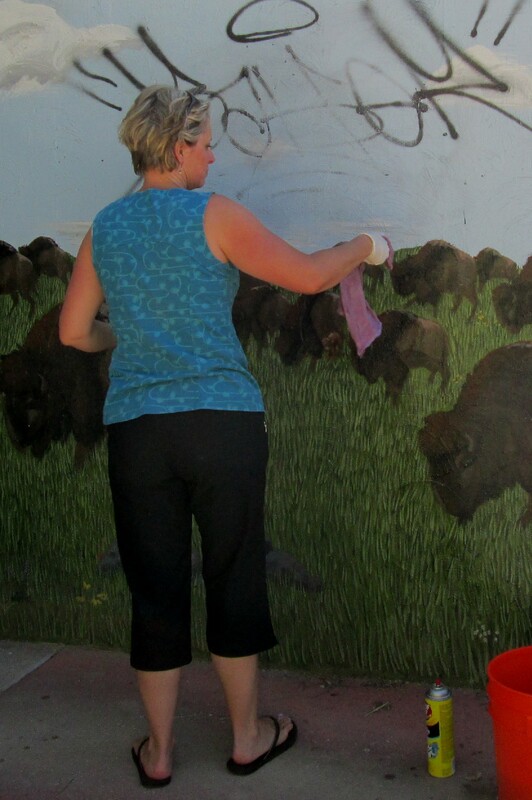 Thanks to a protective layer that was applied the tagging was able to be removed with minimal damage to the original artwork. 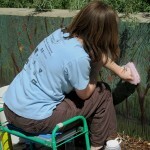 Some touch up and re-painting will be required to fully restore the mural and a new protective layer will be applied.